Rainy day in Prague: here's what to do. These days the weather in Barcelona reminds me of my beloved Prague and I see many of us take rain as an excuse to stay in. But what do you do when rainy days hit you on holiday? If you are visiting Prague and have a rainy day do not cancel everything and take a look of these options. While rain drops are drumming through the windows you can spend an afternoon enjoying and getting inside the Czech culture and history. Passageways: an important part of this city’s architecture hiding in passages, arcades etc. into the ground floors of the city. This network is endless and shows incredible boutiques, craft shops and hidden cafés. One of the prettiest passages is in Lucerna Palace (Štěpánská 61, 8h-23h, metro station: Muštek), where you can find an old traditional doorless elevator dating back to early 20th century (there are only 25 of these in Prague). Towers: visit a tower. The Gothic bell tower Jindřišská (Jindřišská, 110; 10h-18h, metro station: Namestí Republiky) is in downtown, but forgotten. Lots of people do not even realize about it when walking around but it is worth entering and exploring it from the inside. You will be safe from the rain and will have great views once you get to the top floor. You can of course go to others such as the belfry of St. Nicolas (Malostranské, 118) or the Astronomical Clock tower (Staroměstské 1, 9h-22h). Museums: Prague’s beauty doesn’t lie only in its palaces and churches. There are priceless pieces of art in its many galleries of museums. 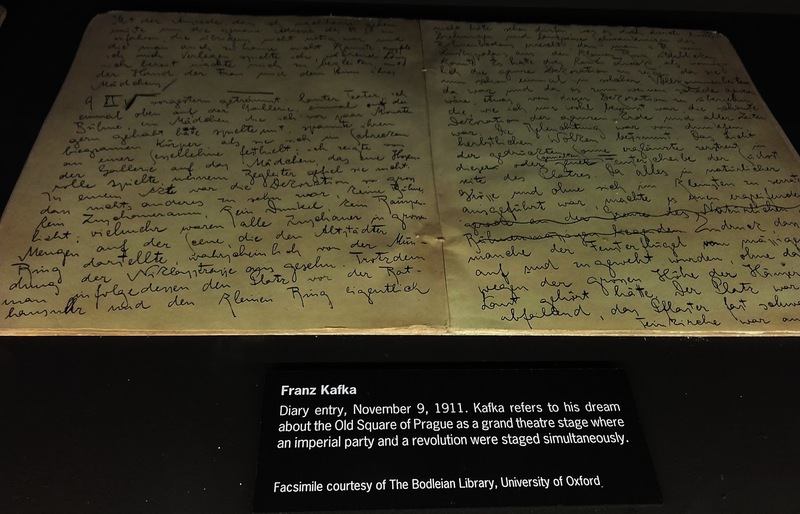 On a very rainy day I tried Kafka Museum (Cihelná 635/2b; 10h-18h; metro station Staromestka//Malostranska). It goes with the weather, since it is all dark and a bit bizarre just like his stories. The National Museum (Václavské 68; 10h-18h, metro station: Muzeum) is another option –though some say it is more interesting if you are Czech- and easy to reach since it is on top of Wenceslas Square. 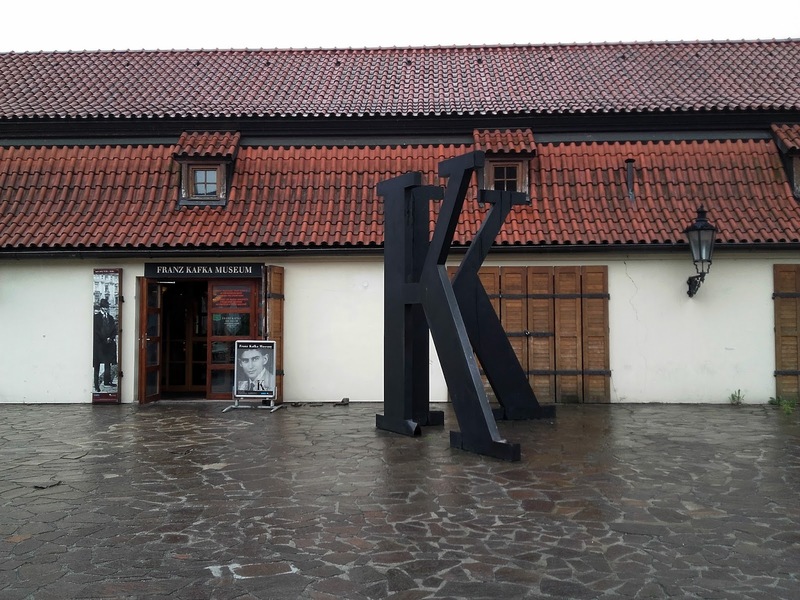 If you are a foodie you can also try the Gastronomy museum, which offers the history of food from early times to modern days (Jakubská 12, metro station: Namestí Republiky). Some prefer to spend the rainy afternoon shopping; in Prague you can find shopping malls and department stores offering designer goods, local food and many products. If you don’t want to leave the center of the city just head to Palladium (Nám. Republiky 1, 9h-21h, metro: Namestí Republiky). This may not be the most productive option if rain gets you but I am guilty here too. Last summer after visiting Kafka, the rain did not seem to stop and I was wearing sandals and short sleeves so I headed to Palladium at least to get some trainers and a cardigan since I was freezing with cold and wet feet under the rain. Super classy. Library: no you don’t need to spend the day reading but you won’t regret visiting a library in this city, since they look stunning and will make you feel you are in a movie. 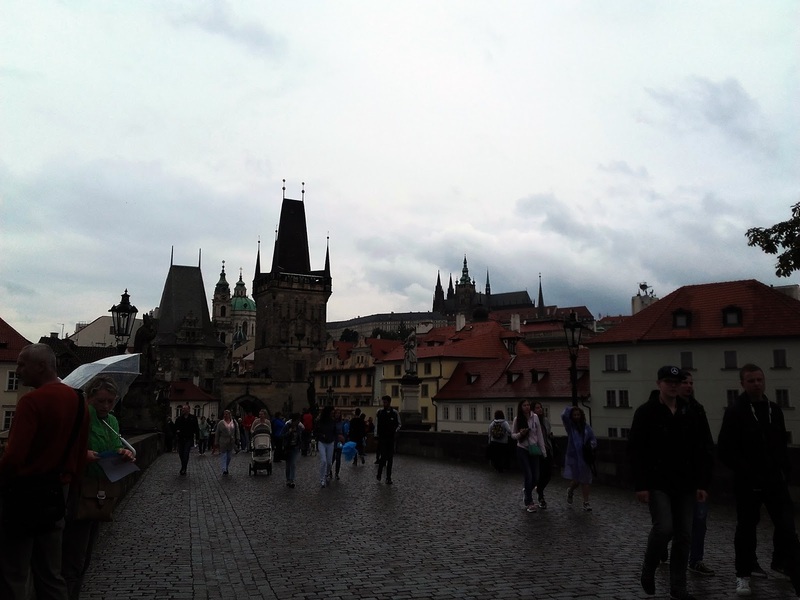 The most popular one may be Klementinum (plus it is in the very center of the city: Mariánské 5) and Strahov Library (a bit uphill, near the castle complex: Strahovské nádvoří 1/132, tram 22) but if you have already seen those then try the Municipal Library (Mariánské 98/1, 9h-21h, metro Staromestská) or the Academy of Sciences Library (Národní 1009/3, 9h-19h, metro: Mustek). If you choose Klementimum you will not only see a stunning library but also its tower which offers gorgeous views of the city once you get to the top. 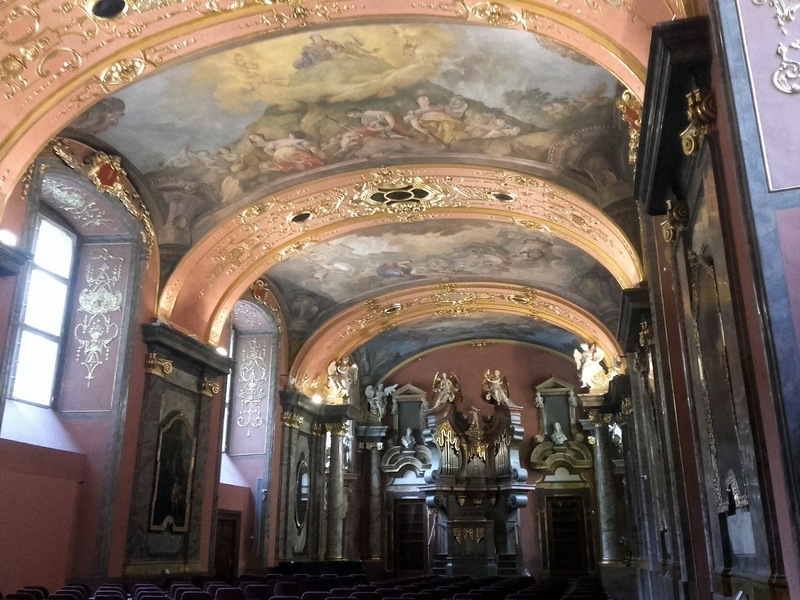 Plus you will get to see really cool and elegant rooms that are now used for concerts and conferences, and then will head upstairs feeling you go back in time discovering where astronomers used to learn and study too. Every city offers treasures and gems you can discover while avoiding the rain. Some think shopping but I say old libraries, underground passages, and magic museums and towers that can take you back in time.